Practice Areas Real Estate Law – Zimney Foster P.C. The Real Estate Practice Group of Zimney Foster P.C. provides clients with advice in all areas associated with real estate transactions, including negotiation and drafting of contracts for both buyers and sellers, reviewing and drafting of leases, property management agreements, contracts for deed, preparing and reviewing financing documents, examining title and clearing any objections to title, and the closing of all types of real estate transactions. Deeds, Contracts for Deeds and other Real Estate Transfer Documents. We are familiar with all types of real estate transfer documents and can explain and advise as to the best type of transfer document for each particular situation. In addition, our attorneys are familiar with probate procedure to effectuate the clients desires for future transfer of their property. The acquisition of a piece of property, whether it is commercial or residential, is a large investment for the client. It is important to resolve any title issues before the property is acquired to make sure that the client is vested with clear title. Our attorneys are experienced in abstract examination as well as title insurance and torrens certificates and can also draft the curative documents or take the legal action necessary to resolve any title issues that may arise. Zimney Foster is an agent for Fidelity National Title Insurance Company. 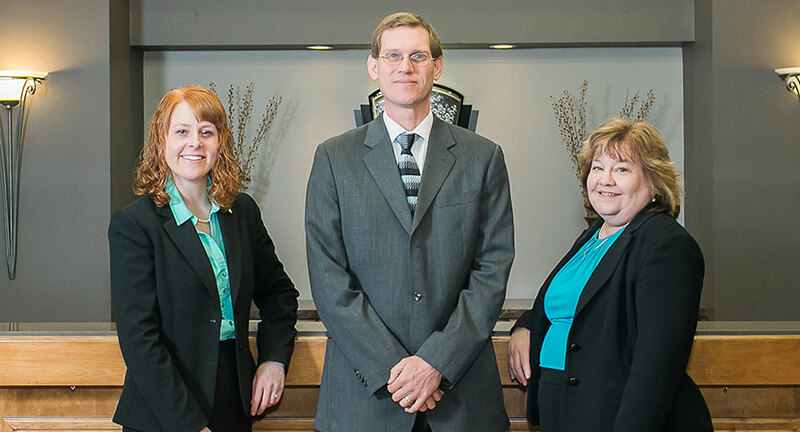 The attorneys in the Real Estate Practice Group are licensed to provide title insurance services for residential and commercial titles in the states of Minnesota and North Dakota. Our attorneys provide assistance with both residential and commercial loan closings from beginning to end, including the review or drafting of the initial purchase agreement, drafting of loan documentation, settlement statement preparation – including gathering of all necessary information – and recording of all documentation. The Real Estate Practice Group prides itself in providing a smooth transaction and in being problem solvers when it comes to issues involved in real estate matters. They work effectively for buyers, sellers, lenders and as closers in communicating with the other lawyers or realtors involved in any real estate closing. We provide advice in reviewing and drafting leases for residential, agricultural, and commercial real estate for both the landowner and the tenant. We also provide advise and services needed regarding landlord tenant relations, including security deposit accounts, evictions and resolution of related issues. The real estate practice group has the expertise necessary to advise condominium and/or townhome associations as to the issues that may arise in running an existing association. We also form those entities and provide the documentation needed to create a new association or to modify the documentation of an existing association. Where difficult issues arise, we attend association meetings and explain the ramifications as requested by our clients. We are familiar with all types of real estate transactions, including Section 1031 of the Internal Revenue Code and represent parties as buyers and sellers in those transactions, act as a Qualified Intermediary or Exchange Agent or simply as closing agent. We can draft all documentation necessary and have the experience to advise the correct method to handle the transaction to ensure the proper application of section 1031.